• Attempts a tepid recovery as USD rebounds. • CAD further weighed down by weaker oil prices. • Focus on today’s important US/Canadian macro data. 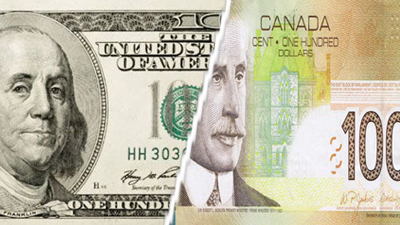 The USD/CAD pair staged a modest recovery from 2-1/2 month lows and might now be looking to build on its momentum back above the key 1.2500 psychological mark. The pair extended overnight bearish break below the weekly trading range and touched an intraday low level of 1.2483 during the Asian session on Friday. However, a pickup in the US Dollar demand, supported by an uptick in the US Treasury bond yields, stall the pair's downslide. Meanwhile, crude oil retreated a bit from 2015 highs and was seen weighing on the commodity-linked currency - Loonie, eventually supporting the pair's rebound from the lowest level since Oct. 20. Traders also seemed inclined to lighten their bets ahead of today's important macro releases from the US and Canada. Hence, a bout of short-covering could also be one of the factors contributing to the pair's recovery of around 20-pips from lows. The release of US monthly jobs report (NFP) will be the next focal point and grab all the attention later during the early NA session. Today's economic docket also features the release of Canadian employment details and trade balance data, along with the US ISM non-manufacturing PMI. Immediate resistance is now pegged near the 1.2530-35 area, above which a fresh bout of short-covering could assist the pair to head back towards testing 100-day SMA resistance near the 1.2595-1.2600 region. On the flip side, weakness below 1.2485-80 zone could drag the pair further towards mid-1.2400s, which if broken is likely to extend the downslide towards sub-1.2400 level.